Time to dance! This mix-print tiered dress is perfect for parties and family photos. 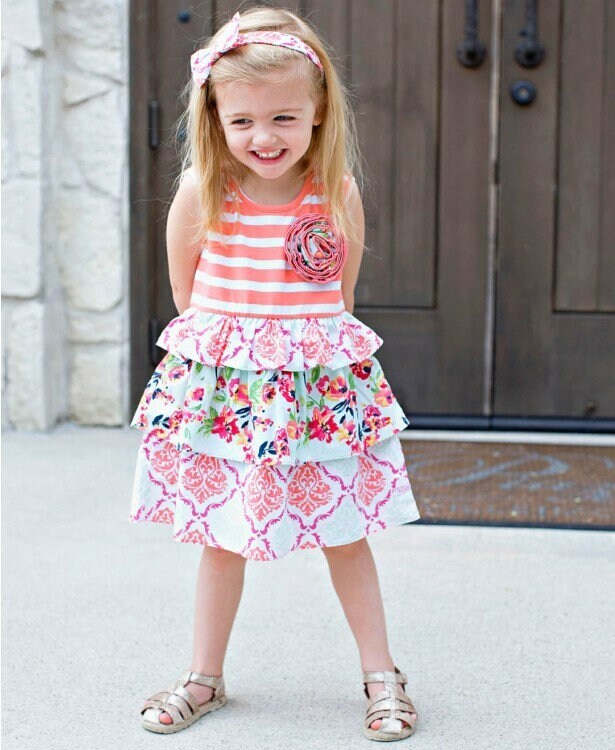 A mixture of coral stripes, Painted Flowers and Damask patterns, makes this dress easy to coordinate with other RuffleButts styles.